size - 12 1/2" diameter, 2 5/8" thick, one piece of red cedar. 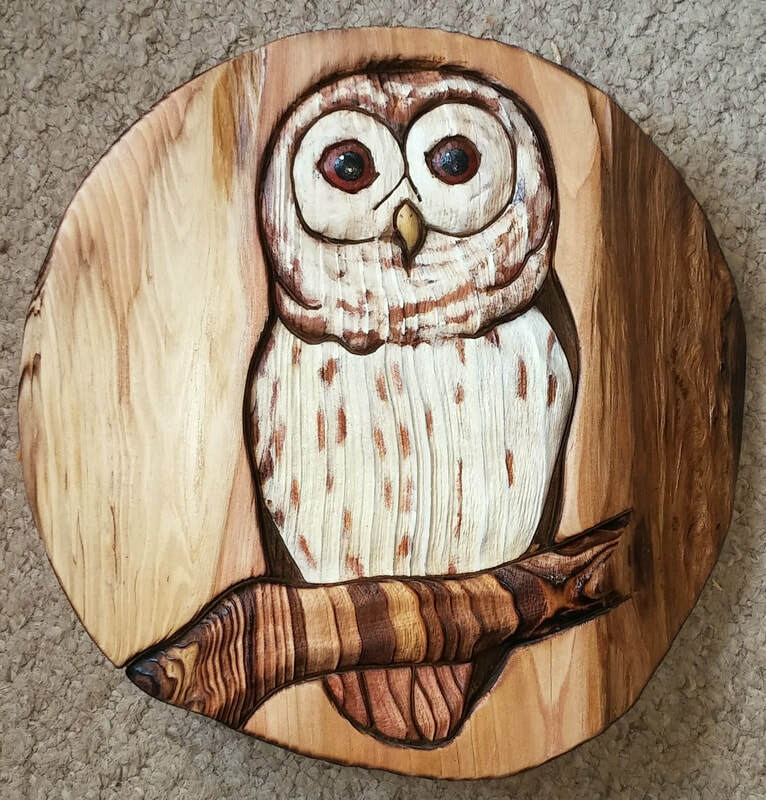 This original Barred Owl is Yours, if your number is chosen, April 28, 2019, at the Creston Spring Trade and Arts Show, Creston Rec Center. Tickets are $ 5 each or 3 for $ 10. (no password needed) with your name, phone, email address, and how many tickets you want; and we will inform you of your number(s). Corresponding numbers will be drawn Sunday afternoon before Trade Show closing. We will call/email the winner asap. We will cover the postage.